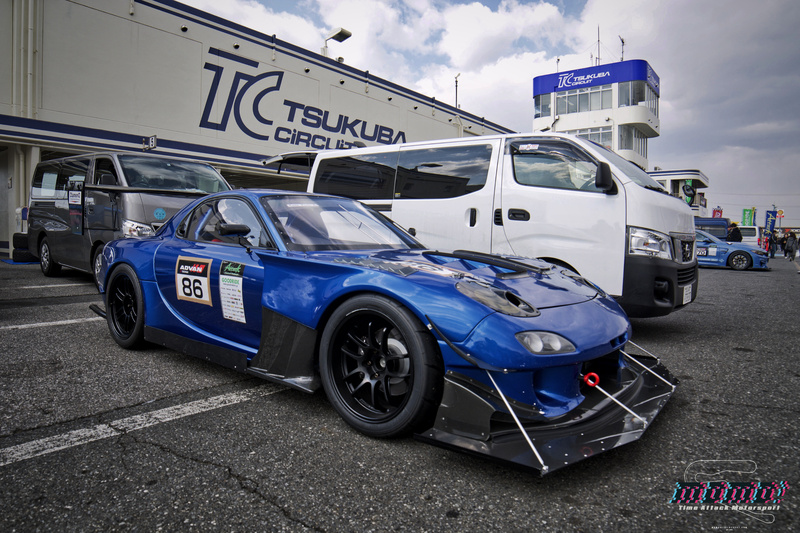 K2 Racing FD3S RX7 @ Attack Tsukuba 2019 – MoMoHitsTheSpot! I was gonna go ahead and throw up a bunch of shots from Attack 2019 since it’s been almost a month, but I still have yet to find the courage and dedication to sit down and write a long post of the event. So, for now, I’ll just continue with some short posts… hope you guys don’t mind! 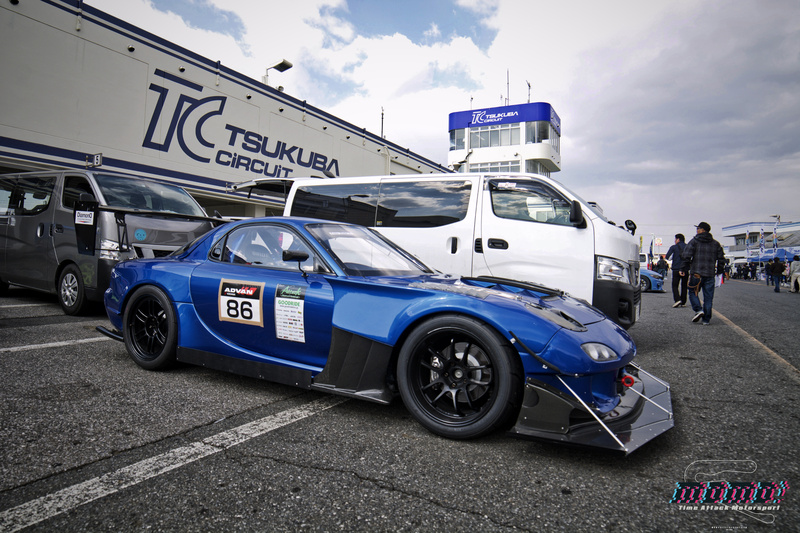 You know what’s one thing I’ve noticed about Japanese time attack? 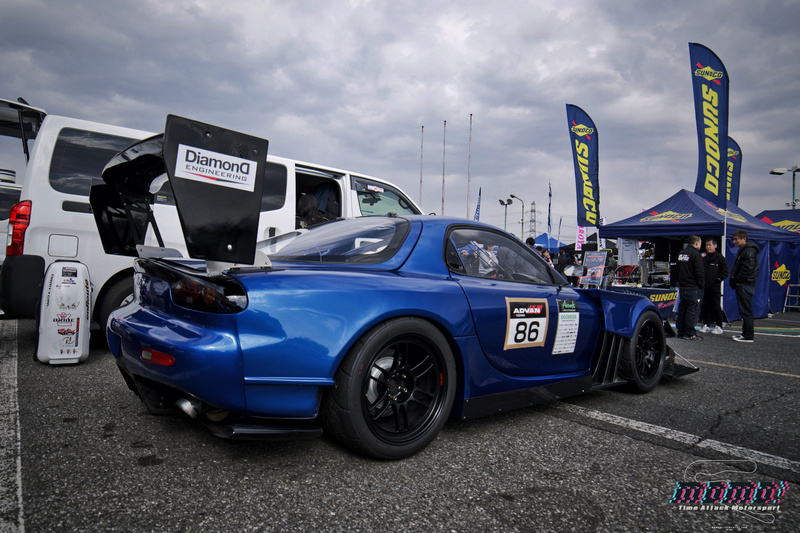 There’s always A LOT of FD3S RX7s on hand at any particular event and many, if not all, are well tuned, well balanced, and definite eye candies. 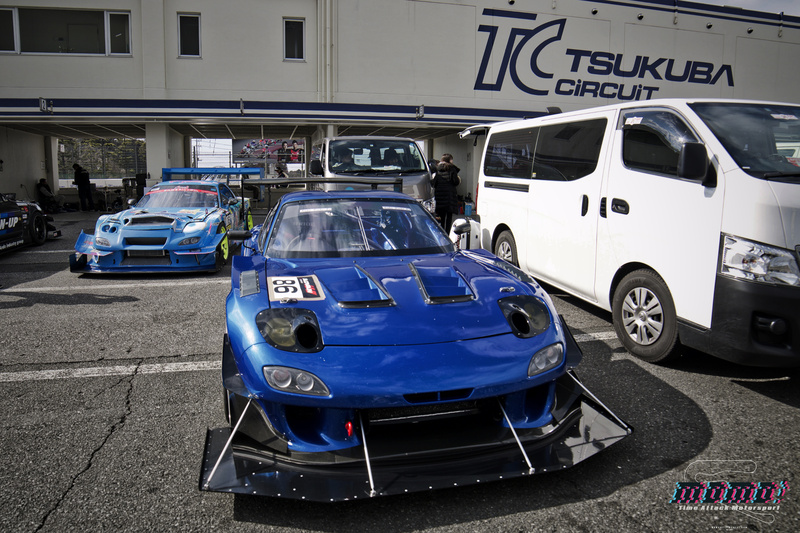 So, with that said, there were a fair share of sensational FDs at the recent Attack Tsukuba event, from the Full Stage FD that I posted previously, to the Panspeed duo, and the Endless and Scoot monsters of the Turbo Class… There were literally 20 FDs amongst a field of 94 cars which is pretty significant considering how many different makes and models there are. 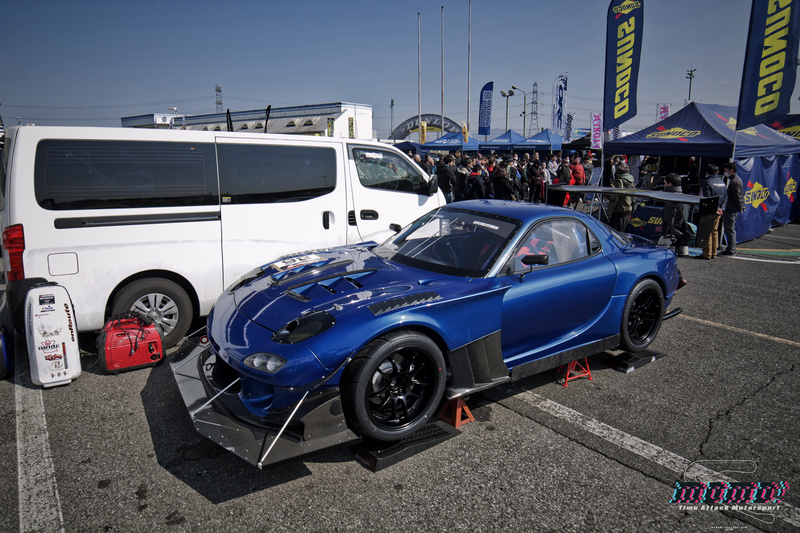 But there was one FD in particular that really caught my eyes. 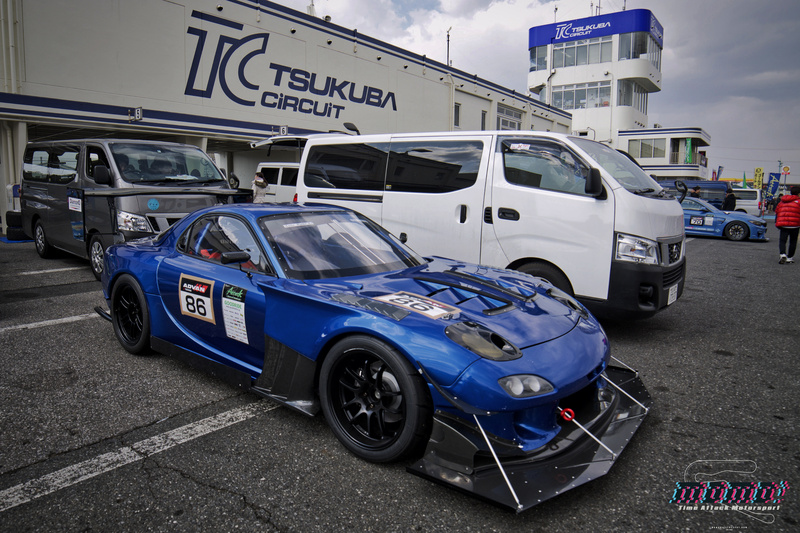 The TCP Magic/RE Amemiya clad K2 Racing RX7 was among my favorite car of the whole event. 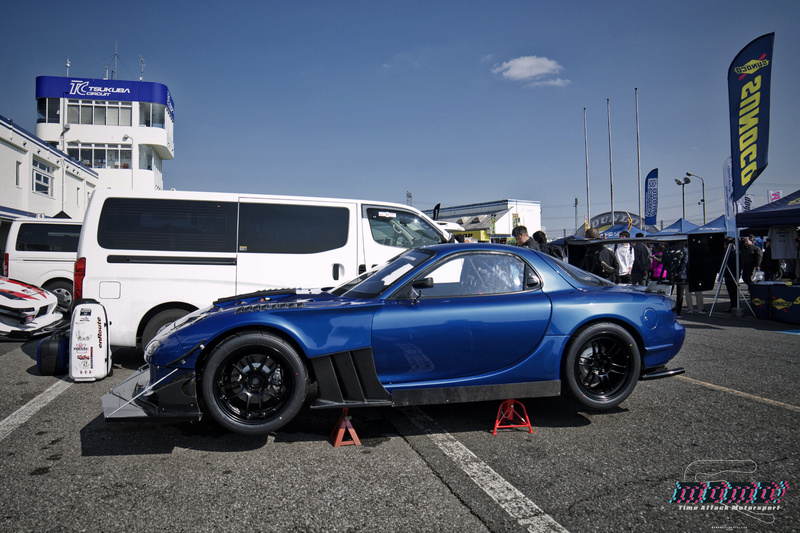 Under the hood is 450 healthy horsepower coming from a HKS T04Z powered bridgeport 13B. 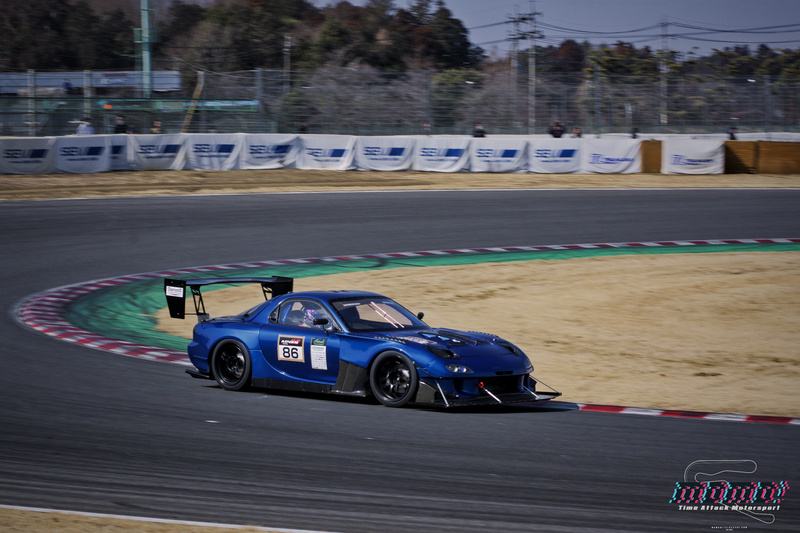 This, along with the suspension tuning and aero upgrades translates to a lap time of 58.960 which is a tad slower than its personal best, but still very respectable. 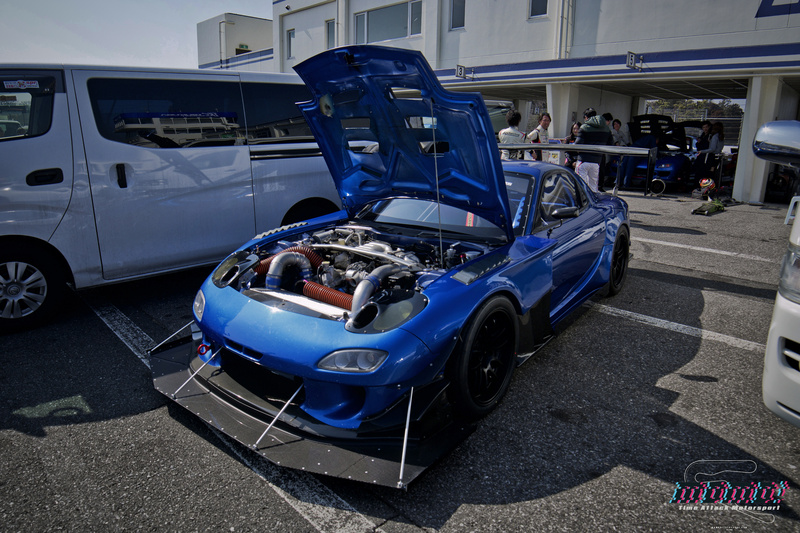 Posing next to the not so eye friendly 2JZ powered New Type Racing FD. I know some of these shots are similar, but can you get too much of a good thing? I kinda dig the mismatched Enkeis as well. 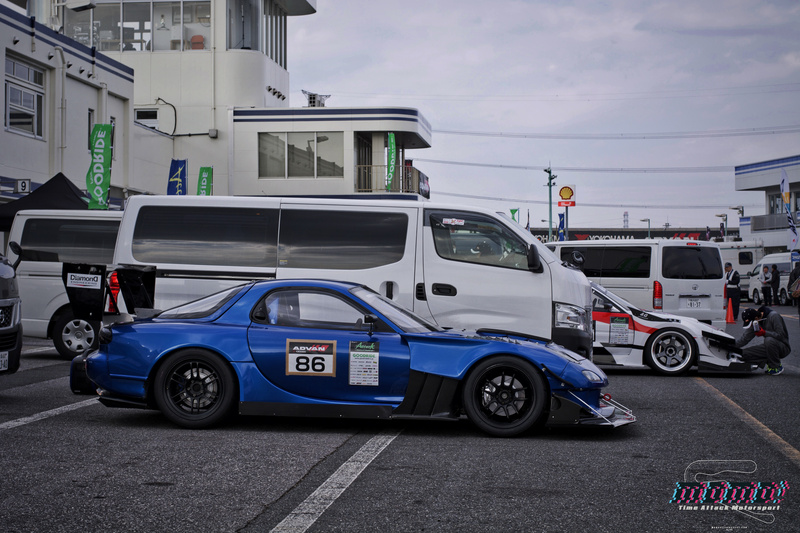 Peeking from behind the van, you can see a glimpse of the &G Corporation MR2. I’ll have a few shots of it up in a later post. And finally, a photo of the car not stationary! Great post! 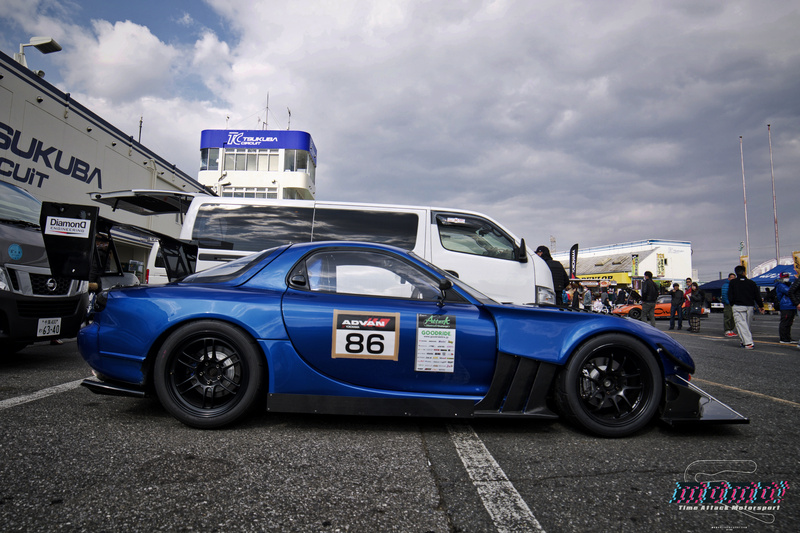 One of my favourite colours on an FD. 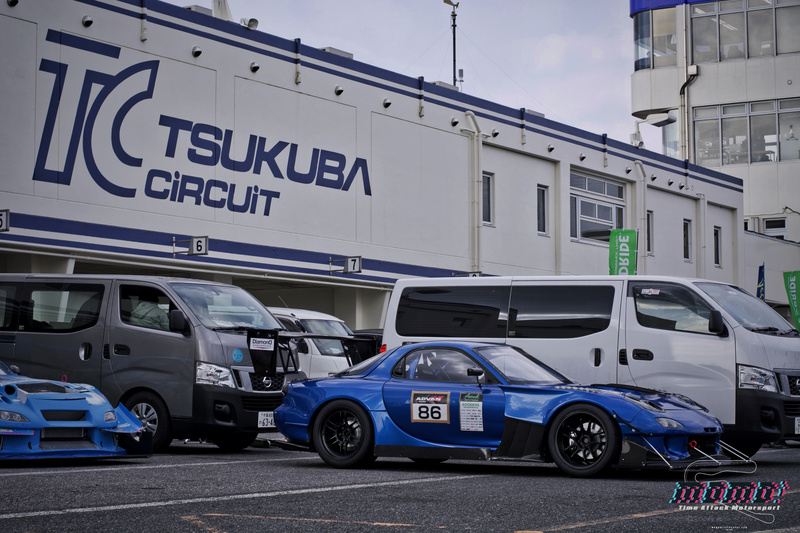 That MR2 peaking from behind the van there though!